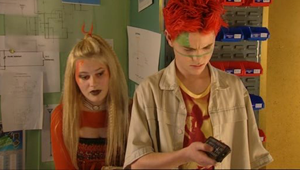 Jack is an original member of the Mall Rats in The Tribe, and first appears in series one episode one. Jack has always been a curious character. From an early age he would make and invent things. He is the first Mall Rat to claim the Phoenix Shopping Mall as his home since his father had owned the electric shop, and so he decided it would be a safe there. Jack is a geek, who fully commits himself to finding solutions for the Mall Rat's lack of fresh water and electricity. He forges a strong friendship with Dal, who helps him construct a generator to recharge batteries as well as get clean water from the roof directly into the mall. He believes devoutly and staunchly that science is the only solution to their problems, and frequently gets into arguments about the futility of 'spiritual guidance' with the other Mall Rats, particularly Tai-San. Although his abilities are highly valued within the group, Jack's sarcastic, wry sense of humor and enthusiasm for scientific matters seems, while not exactly off-putting, rather peculiar to the Mall Rats. He stays an outsider, usually opting to work on his inventions rather than to socialize with fellow tribe members. However, his personality starts to change as soon as Ellie, an aspiring journalist, is accepted into the tribe. Jack has finally found someone who shares his curiosity and obsession about the virus, and they research the matter to write about it in Ellie's paper. Both are attracted to each other, and, even though it takes some time, they eventually end up together. Jack starts to soften, to care more for his appearance and be less solitary. Jack is over protective of Ellie and treats his friend Dal badly for any interaction he has with Ellie. 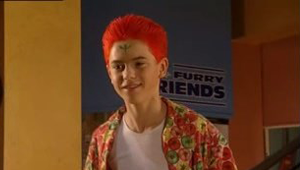 In series three the Chisen have taken over the city and Jack is sent away. When he comes back to the Mall, his best friend Dal has died and Ellie has started dating Luke. With his old life gone Jack decides to live by himself without a tribe. It is only by chance that he ends up back in the city, and makes up with Ellie before being taken away again this time by the Technos. When he is released, and returns to the city, Jack has changed. He is not the self-seeking, sneering kid he used to be, and starts taking responsibility for those younger or weaker than he is. He is now an integral part of the Mall Rats, and his days of solitude are over. He and Ellie experience the complications of a relationship between two maturing teenagers that have been romantically involved for years. When the dictator-like leader Mega hears of Jack's technical abilities, he employs him to develop a virtual reality punishment program for people not abiding by the laws he has introduced. Jack is flattered, but is stuck in a predicament. In the end, he decides that he does not want to assist the Techno leader in his quest to torture and brainwash people. He tricks Mega with a fake scenario in which Ellie is supposedly tortured. Risking his life to abscond with stolen data from Mega's computer, he joins the resistance movement in Liberty to bring Mega down. There is no doubt that, at the end of series five, Jack has grown up. 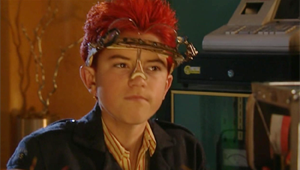 In series one Jack is seen wearing 3/4 brown shorts, with a red and white stripped long sleeve T-shirt. A brown vest is worn over the top of the Shirt. The vest does up at the front with large buttons. Jack also wears a navy blue jacket with this outfit. Next Jack wears a white singlet and a multicoloured short sleeve shirt. The shirt has a bright pattern of fruits lime, lemon and oranges, with this he wears a pair of blue shorts with a light blue stripe on the side and a big pocket. Later Jack swaps the shirt for another dark grey shirt, this has a white patch with a picture on it. Jack also wears another multicoloured long sleeve T shirt, dark pink and brown stripped pants. Towards the end of series one Jack wears a dark blue jacket, this has two front chest pockets. 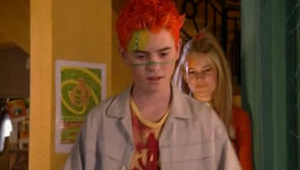 In series two Jack wears a multicoloured red, yellow, and orange singlet top, over this top he wears a short sleeve cream T-shirt that has two front chest pockets. The jacket also does up at the front with buttons. Long olive green pants go with this outfit. These pants have a belt dangling a little on each side. 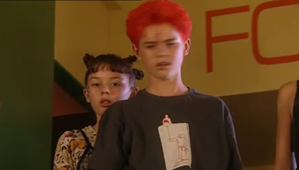 In series four Jack has a plain red T-shirt with a blue T-shirt over the top with tiny red and white flowers. Over this Jack wears a silver leather jacket with one front chest pocket and a silver zipper at the front. Long black pants go with this outfit that has a big pocket on the side of the leg. In series five Jack wears an olive green T-shirt, with a long sleeve cream T-shirt over the top, this cream shirt has a couple of patches on it and two front chest pockets. Dark grey pants go with this outfit that has a lighter faded grey patch on the front. 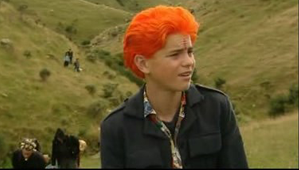 Outside Jack wears a shiny bright orange and blue jacket.